It is happening all across America-rural landowners wake up one day to find a lucrative offer from an energy company wanting to lease their property. Reason? The company hopes to tap into a reservoir dubbed the “Saudi Arabia of natural gas.” Halliburton developed a way to get the gas out of the ground-a hydraulic drilling process called “fracking”-and suddenly America finds itself on the precipice of becoming an energy superpower. Gasland 2 has also been releases and is a must to watch. Acclaimed photographer James Balog was once a skeptic about climate change. But through his Extreme Ice Survey, he discovers undeniable evidence of our changing planet. In Chasing Ice, Balog deploys revolutionary time-lapse cameras to capture a multi-year record of the world’s changing glaciers. His hauntingly beautiful videos compress years into seconds and capture ancient mountains of ice in motion as they disappear at a breathtaking rate. 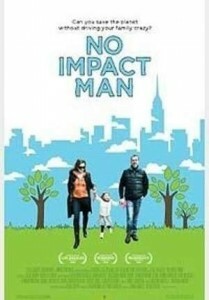 Winner of the PEA Best Environmental Film Award 2013. This documentary weaves the science of global warming with Al Gore’s personal history and lifelong commitment to reversing the effects of global climate change. It makes the compelling case that global warming is real, man-made, and its effects will be cataclysmic if we don’t act now. An informative documentary asking the question – What Are the Bees Telling Us? A profound, alternative look at the global bee crisis (which could lead to a global food crisis) we meet underground beekeepers all over the world who are devoting their lives to saving bees. An epic adventure into the lush, psychedelic paradise of Pandora – a moon in a far away solar system which is being mined for precious metals, threatening the world of the indigenous people who live in deep connection with the natural world. The 11th Hour is the last moment when change is possible. The film explores how we’ve arrived at this moment – how we live, how we impact the earth’s ecosystems, and what we can do to change our course. An award-winning documentary investigation into what experts label one of the most important political and environmental issue of the 21st Century – The World Water Crisis. In a distant, but not so unrealistic future, where mankind has abandoned earth because it has become covered with trash from products sold by the powerful multi-national Buy N Large corporation, WALL-E, a garbage collecting robot has been left to clean up the mess. A film about the true price of oil, that launched an epic First Amendment battle with Chevron about the infamous Amazon pollution case, one of the largest and most controversial environmental lawsuits on the planet. This is an optimistic, solutions-based, non-preachy, non-partisan, big tent film that shows tackling climate change boosts the economy, increases national & energy security and promotes health & a clean environment. Pete Postlethwaite stars as a man living in the devastated future world of 2055, looking back at old footage from our time and asking: why didn’t we stop climate change when we had the chance? Academy Award® Winner for Best Documentary of 2009, THE COVE follows an elite team of activists, filmmakers and freedivers as they embark on a covert mission to penetrate a remote and hidden cove in Taiji, Japan, shining a light on a dark and deadly secret about what is happening to the dolphins that live there. The film documents two years of work of Brazilian contemporary modern artist Vik Muniz in creating art with the cooperation of scavengers of recyclables working at Jardim Gramacho, one of the world’s largest landfills, serving the metropolis of Rio de Janeiro in Brazil. More than 20 years ago, Dr. Jane Goodall, now 75, decided to give up her career as a primatologist, as well as her private life, in order to devote all her energy to saving our endangered planet. Since then she’s been spending 300 days a year scouring the globe on her mission to spread hope for future generations. Paikea Apirana is a 12-year-old girl struggling to become the chief of the tribe, a role her grandfather believes is reserved for males. Her rite of passage takes her into a deep connection with the natural world. This stunning documentary series invites the viewer into some of the most beautiful and impossible locations and presents intimate moments with our planet and her creatures. A strikingly beautiful, meditative, non-linear poem of a film, exploring the shared language of all animals and our interconnectedness with them and the entire natural world. This beautiful documentary journeys with Emperor penguins as they march single file through trials and tribulations, to their traditional breeding ground. A love ode to our planet – we literally flies alongside flocks of birds as they migrate thousands of miles. Baraka is an incredible nonverbal film containing images from six continents. The film has no plot, contains no actors and has no script, instead it reveals the most beautiful and most challenging aspects of humanity and our relationship to the planet. Over the past 20 years we have seen a growing realization that the current model for society and culture is unsustainable. We have been living beyond our means… A character driven documentary following individuals that strive to change the world of consumerism, a system of credit and debt that the Icelandic economy was built upon for the past 10 years or more. Focusing on sustainable developments in nature, organic farming, business, innovation and renewable energy – filled with positivity and emotion as we are taken on a story of struggle, determination and most importantly…hope. 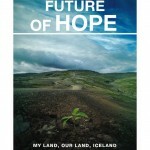 ‘Future of Hope’ takes you on a journey from the history to the present and even into the future of a new and sustainable Iceland.. 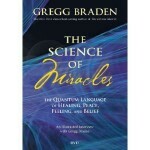 In The Science of Miracles you will discover paradigm-shattering revelations that demonstrate why: We are not limited by the laws of physics, as we know them today! We are not limited by the laws of biology, as we know them today! Our DNA is a code that we can change and “upgrade” by choice. Leave No Trace by Daniel Dobbie. Voices of Transition by Nils Aguilar. 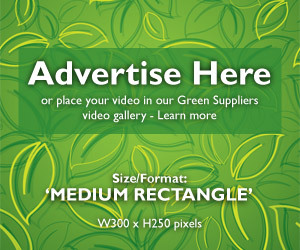 Learn about this video and buy a copy here. Dirt the movie. Excursion into the realms of soil, the number 1 lifegiver on Earth…It’s fundamentally important ecological functions, our poor understanding of it as well as our destructive relationship with it. They are so essential to life and thus to us, that our survival is directly dependent on their understanding and protection! It can be viewed here. Symphony of the Soil by Deborah Koons Garcia. This film is an artistic exploration of the miraculous substance soil. The film examines our human relationship with soil, the use and misuse of soil in agriculture, deforestation and development, and the latest scientific research on soil’s key role in ameliorating the most challenging environmental issues of our time. Buy the DVD here. One Life offers you a close encounter with all things wild. Created for a family audience the film reveals the bonds that connect all living creatures on our planet through a series of imaginative and vividly captured stories. A major feature length production from BBC Earth Films, One Life has been created from 10,000 hours of incredible, intimate footage of amazing creatures that are in turn heroic, strange, loveable, beautiful and surprisingly funny. One Life is voiced by Daniel Craig and offers an accessible narrative that children will love. It is directed by Michael Gunton and Martha Holmes from the BBC Natural History Unit and is a joyful celebration of the most brilliant and imaginative stories of survival from the natural world. Families and filmgoers of all ages will marvel in this breathtaking and fascinating film. The imaginative world of Dr. Seuss comes to life like never before in this visually spectacular 3D animation adventure from the creators of Despicable Me! 12 year old Ted will do anything to find a real live Truffula Tree in order to impress the girl of his dreams. As he embarks on his journey, Ted discovers the incredible story of the Lorax, a grumpy but charming creature who speaks for the trees. The Lorax is filled with hilarious fun for young children 3 or 4 upwards, great for the parents too! 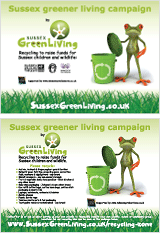 It has a wonderful environmental message for everyone. More information here. 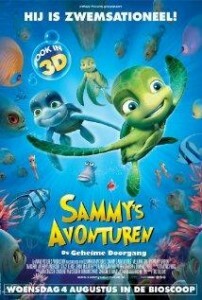 Released in 2008 this is an American computer-animated romance science fiction film. Set in 2805, Earth is covered in garbage due to decades of mass consumerism facilitated by the megacorporation Buy n Large. BnL evacuated Earth’s population in fully automated starliners in 2105, leaving behind trash compactor Waste Allocation Load Lifter – Earth Class “WALL-E” robots to clean the planet, but they eventually stopped operating and Earth was left abandoned. After 100s of lonely years of doing what he was built for, WALL•E (short for Waste Allocation Load Lifter Earth-Class) discovers a new purpose in life (besides collecting knick-knacks) when he meets a sleek search robot named EVE. EVE comes to realize that WALL•E has inadvertently stumbled upon the key to the planet’s future, and races back to space to report her findings to the humans (who have been eagerly awaiting word that it is safe to return home). Meanwhile, WALL•E chases EVE across the galaxy and sets into motion one of the most exciting and imaginative comedy adventures ever brought to the big screen. Is an Award Winning Musical Audio Story for all ages. ”An amazing mix of story, songs and sound effects!” THE TIMES. Chapters 1-6 is Free. part 2 and part 3 both have 5 chapters and costs £4.99 each. Styling itself as a “musical audio book”, this environmentally-minded story comes with a rock soundtrack, words from comedian Steve Punt, and characterful illustrations.